Meaning Be careful! Watch out! 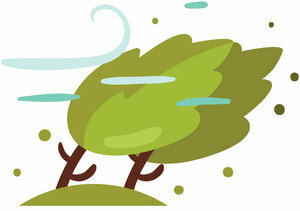 Usage notes: The informal French expression fais gaffe is very minimal, as the negation is only implied. Une gaffe is a blunder or mistake, so literally fais gaffe means "make [a] mistake" – indeed, if you use the expression faire une gaffe in anything other than the imperative, it means "to make a mistake." But fais gaffe means just the opposite: it implores you to be careful, to not make a mistake. J’ai peur que tu tombes, fais gaffe ! I’m afraid you’ll fall, be careful! L’échelle a l’air branlante – fais gaffe ! The ladder looks rickety – be careful! Fais gaffe en traversant la rue. Pay attention while crossing the street. 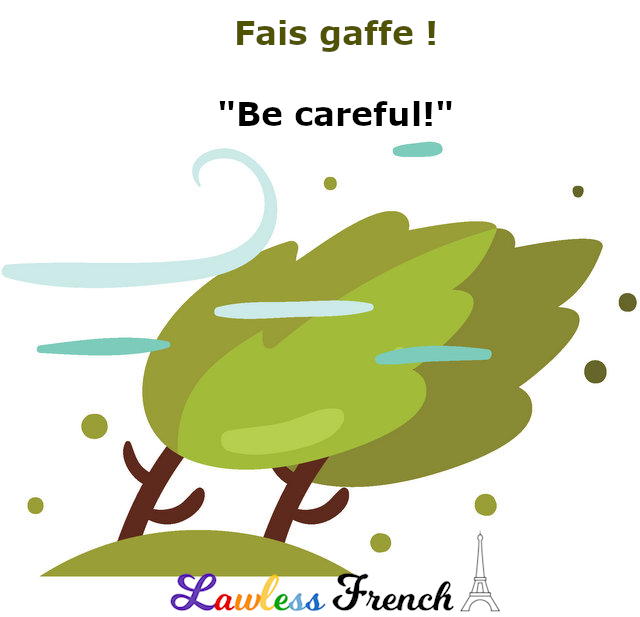 You can use faites gaffe when talking to more than one person in an informal situation. I hadn’t thought about this as being an implied negation before, but that makes a lot of sense! Reminds me of when the French say “T’inquète !” which literally means “Worry (yourself)!” but is only ever used to mean DON’T worry.